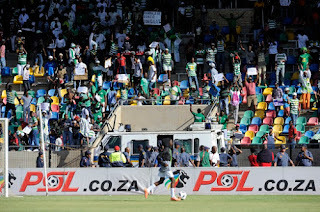 The Premier Soccer League (PSL) have slapped Bloemfontein Celtic with a charge following acts of violence which resulted in their fixture against Cape Town City being abandoned in Sunday. 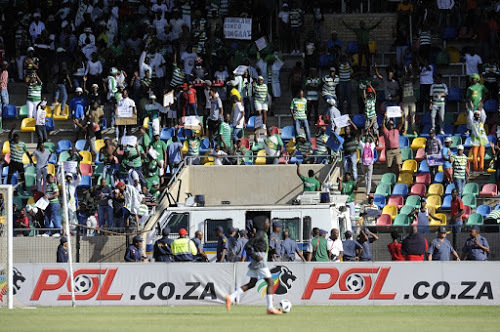 The game played at the Dr Petrus Molemela Stadium was called off in the first half after a pitch invasion by angry Celtic supporters that were protesting against the club’s owner Max Tshabalala due to the insecure financial situation of the team. The PSL said on their twitter account on Monday that Celtic were charged with “failure to provide adequate security for the match and bringing the League, sponsors Absa, SAFA, CAF and FIFA into disrepute.”.